t twenty-five years. Although the long term benefits of exercise for children with autism specifically have not been adequately explored, we do know that exercise can decrease the amount of self-stimulatory behavior immediately after vigorous exercise (mild exercise had no effect). This is good to know for those working with children with autism since vigorous exercise immediately prior to a one-on-one treatment session with a child may make that child more attentive and therefore easier to work with. The question, though, has always been how to efficiently encourage the child to happily exercise immediately prior to a session? Thanks to Microsoft, we now have a convenient, vigorous exerciser that hooks onto our T.V. 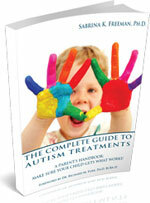 and can be extremely reinforcing to the child with autism (depending upon the game). 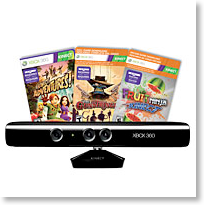 Now with the Kinect, not only can the child exercise immediately prior to a one-on-one session as a leisure activity, the child can also “work for” the Kinect as a reward during a break. Talk about a powerful tool: a behavioral reinforcer tool that also helps suppress self-stimulatory or stereotypic behavior short term! This is a great example of the unintended, positive consequences of innovation. Children with autism were obviously not a Microsoft target consumer, but they are benefitting greatly from this technological advance! Now that we have a convenient new tool in the Kinect, I would very much like to see more research done on the value of exercise for children with autism. Any kinesiologists out there up to the challenge?